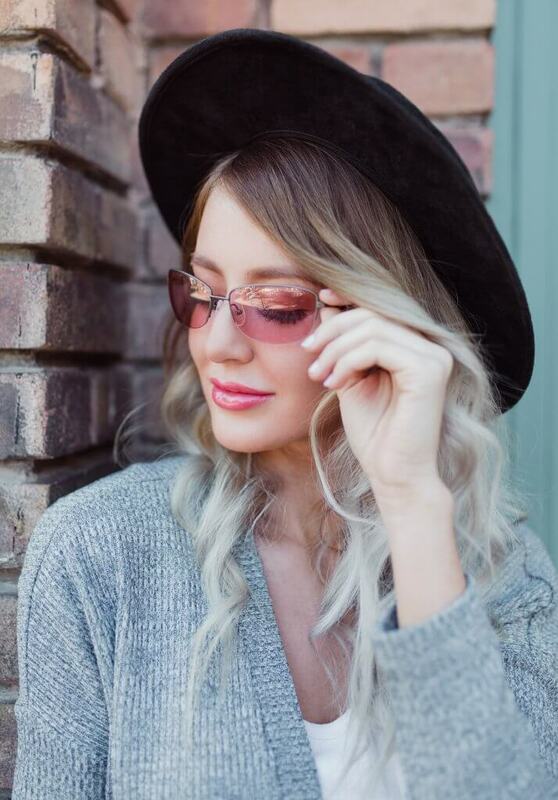 If you have migraines, especially when accompanied with visual sensitivity that includes photophobia, you may benefit from migraine glasses (precision tinted lenses). A study by the Visual Perception Unit, University of Essex, Colchester, and Institute of Optometry, London, UK, suggested that precision tinted lenses helped reduce symptom frequency in people who experienced migraines with visual sensitivity. 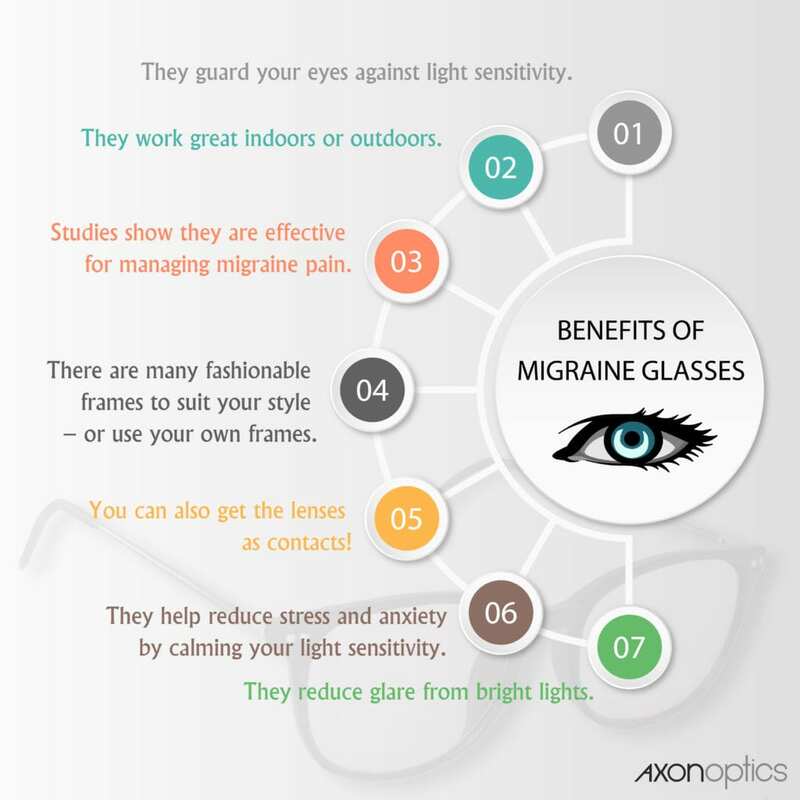 Migraine glasses help to calm light sensitivity and may reduce associated pain, but there are other benefits that you may enjoy as well. Take a look at our infographic, “7 Benefits of Migraine Glasses,” and let us know which benefit is your favorite. Then visit the Axon Optics website to pick out a pair of your own! This is a favorite photograph of our Skye Flex migraine glasses frame. This frame with indoor lenses is very flexible and comfortable, and is just one of the many styles we offer for women, men, and children. Isn’t it time you got a little relief for your light sensitivity or migraine? These glasses are a smart choice and are backed by years of research to develop the most effective product possible. If you’re still not sure, check out our review page and hear from some of our very satisfied customers. We publish all reviews, good and bad. That allows us to equip you with the information you need to make a smart purchase decision. At Axon Optics, we carry a full line of frames for men, women and children to fit our precision tinted lenses. You can also get light sensitivity contacts if glasses aren’t your thing. If you think you might benefit from a pair of our migraine glasses, give ours a try. You get both comfort and style in every one of our frames. Plus, you get the Axon Optics 30 guarantee on every pair you buy. What have you got to lose? Do the indoor lenses look lighter inside then the transitional ones at their lightest? My prescription lenses are expensive and I want to be sure. I know the outdoor ones work well and am anxious to get them in my Cacoon frame. Hi – I live in the UK and suffer terribly from migraines and photophobia. I am particularly struggling with the new lighting in my office at work which I am finding too bright and also these are ‘intelligent’ lights that adjust automatically according to how bright it is outside. The constant changing of the light levels (despite being very subtle to other people in the office), is having a terrible affect on me and my migraines. I feel my employers are also getting a bit fed up with me as I constantly tell them I am struggling yet our Health and Safety policy apparently dictates that these lights are fine for everyone! Do you have a supplier in the UK that I could go to and physically try the glasses on? I am almost at the end of my tether and don’t know where to turn for help and support. I also have prescription glasses for reading/computer work so would need these to be incorporated into the glasses. I am really impressed with your website and the information I have read yet am worried about buying something online that I cannot try on beforehand. Any advice you can offer will be greatly appreciated. We do ship internationally. I recommend emailing [email protected] for additional information about shipping and return policies. Do your lenses also block out the blue rays from computers and I phones ? 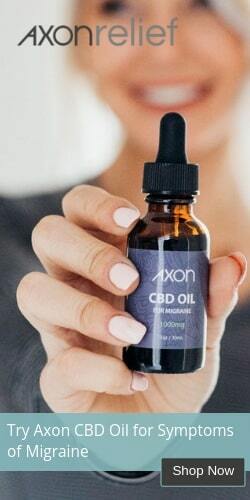 Our Axon Optics indoor lens is perfect for indoor use at home, school, church, the office, businesses – anywhere with bright lights and especially commercial fluorescent light fixtures. They’re especially helpful with fluorescent light, electronic device screens (Computers, smartphones, etc), LEDs, and blinking or flashing lights. Axon Optics lenses are not made for the same purpose as blue-blocking lenses, which block a small amount of the blue light spectrum to protect your eyes from blue light damage from electronic screens. Our lenses block the blue-green light spectrum, the part which has been shown to bother people who are light sensitive. They block more blue light than a traditional blue-blocker lens, though we aren’t certain that their blocking of the blue light is directly correlated to their effectiveness as a treatment for migraines. We can say for certain that our lens has been studied and shown to help. While there is no point in adding a blue-blocker to our lens, people who need protection from blue light but do not have light sensitivity or migraines will probably be happier with a classic Blue-light blocker such as Gunnars or Prevencia.